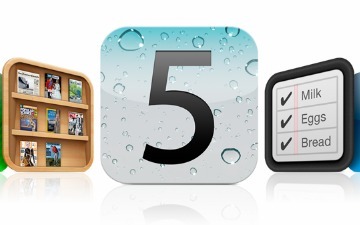 As we all know, today in the morning Apple makes an announcement of the launch of iOS 5 at WWDC and after completing the keynote, they kick out the first beta of iOS 5 to the developers. But while watching the all new features of iOS 5 in the keynote, people are curious to know about the iOS 5 and want to test it on their iOS Devices. But due to Apple policy, beta is released only for Apple’s Dev Center and for publicly it will come out in this fall may be with iPhone 4S. Well, who going to wait too much for it, you want to test iOS 5 and you don’t have developer account? We have good news for you, no you can install and update your device to iOS 5 early betas without having a developers account, because we just got the mirrors of the iPSW files of the iOS 5 betas, form where you can download it and run it on your devices. Go and get your hands dirty with iOS 5 beta 1.